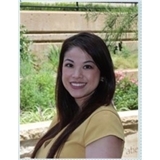 Plano Internal Medicine (Plano) - Book Appointment Online! LOVE LOVE LOVE Dr Pham!! I've had a hard time finding quality doctors that listen to me and find real solutions. She worked with me a new plan for my diabetes. So far has succeeded in lowering my sugar more than any doctor has in years and I'm losing weight on top of that! Win/Win! Super professional bedside manner at all times. She takes the time to talk to you and make sure you have all you need from her and any concerns. Not to mention her staff is super professional, nice and my wait is never long 5min tops.